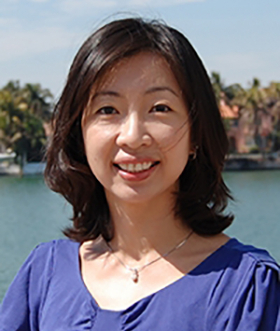 Dr. Wan-Hsiu Sunny Tsai teaches International and Multicultural Advertising in the School of Communication at the University of Miami. Her course explores the economic, political and socio-cultural issues that drive the strategies behind multicultural advertising in the U.S., as well as international advertising in the global marketplace. She emphasizes understanding cultural differences related to multicultural and cross-cultural advertising. Among other topics, the course covers how multicultural and minority-targeted advertising has evolved in the U.S.
As part of Ethnic Technologies' continued outreach into multicultural marketing education, Director of Research & Product Development Lisa Spira spoke with students from the University of Miami last week. "Every semester, I endeavor to bring guest speakers from various aspects of the advertising/marketing industry, to keep students updated with the emerging trends in the rapidly evolving field of multicultural marketing, and to help them network with industry professionals," said Dr. Tsai. Ms. Spira offered the students a data-centric perspective on this evolution. She discussed how data drives multicultural and targeted marketing, and how Ethnic Technologies has built the E-Tech predictive data product suite through decades of research. Equally important, Ms. Spira discussed cutting edge technology that allows digital advertisers to reach key ethnic groups accurately, without using personally identifiable information. "Ethnic Technologies is committed to the marketing leaders of tomorrow," said Ethnic Technologies CEO Zack Wilhoit. "We're very grateful to Dr. Tsai for letting us participate as she shares the latest thought leadership in multicultural advertising and marketing with her students. We are so excited that her students are interested in what's happening at the cutting edge of multicultural marketing, since they will become the strong leaders we need in our industry for the future." Lisa Spira is the Director of Research and Product Development at Ethnic Technologies. In this position, she designs the new logic behind each E-Tech release. Ms. Spira joined the company in 2008 after earning a B.A. in Linguistics from Syracuse University. As a linguist, but specifically an onomastician (an expert in the study of proper names), she continually improves the ethnic name research at the core of E-Tech and G-Tech. Additionally, she helps develop sister products under the E-Tech brand, particularly focusing on their relation to ethnicity. 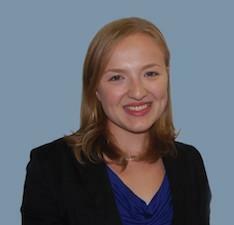 Ms. Spira has published work in onomastics in the Geographical Review and presented about the intersection of name research and marketing at both national and international conferences. She is currently on the Executive Council of the American Name Society. Dr. Wan-Hsiu Sunny Tsai received her Ph.D. in Advertising from the University of Texas at Austin. Her research examines the influence of advertising and marketing communication as a powerful cultural institution in capitalistic societies. Specifically, she has investigated topics such as minority consumers' response to multicultural advertising, post-feminism and femvertising, glocalization of brand meanings, consumer acculturation, consumer ethnocentrism, social media engagement, and recently, chatbot and augmented reality advertising. Her work has been published in various book chapters, conference proceedings, and the Journal of Advertising, International Journal of Advertising, Journal of Interactive Advertising, Journal of Global Marketing, Consumption Markets and Culture, Journal of International Consumer Marketing, among others. Her co-authored papers have received top paper awards from American Academy of Advertising, Association for Education in Journalism and Mass Communication, National Communication Association, and the International Public Relations Research Conference.